Are you familiar with micro-blogging platform - Tumblr? Twitter, GooglePlus, Facebook, Pinterest—these are the darlings of social media, but one network is almost never mentioned by marketers is Tumblr, an ideal platform for visual content and for reaching young audience. But diving into Tumblr can be a bit intimidating. 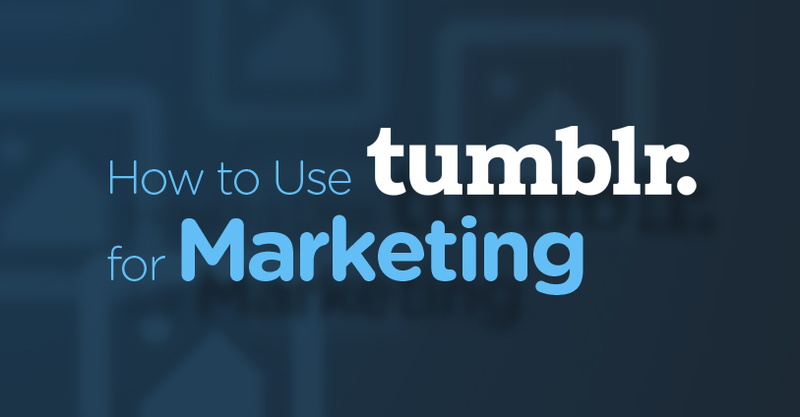 To help you leverage this social networking site, Quicksprout created an infographic that explains how to use Tumblr for marketing, and proposes some tips and tricks on how to get the most from it. Focus on Great images: 78 percent of Tumblr posts are photos or other images, and they're the most popular to reblog. Focus on a very tight niche: The Tumblr community love memes and funny GIFs. Follow other Tumblrogs: And post them on your page to show Tumblr community support, which is highly important on this platform. Use Hashtags: Tumblr users frequently search for popular hastags to discover new content. Respond to comments and comment on others posts: This is social media, and engaging with followers earns their trust, increasing their engagement as posts, links, comments and business.